We hope that by now you've already got your beauty advent calendar sorted (if not, these are the ones that are still on sale) and are starting to make a dent in your Christmas shopping, although we have some ideas when it comes to that too. But next on the Christmas hit list is the tree decorations. And by tree decorations, naturally, we mean beauty baubles. 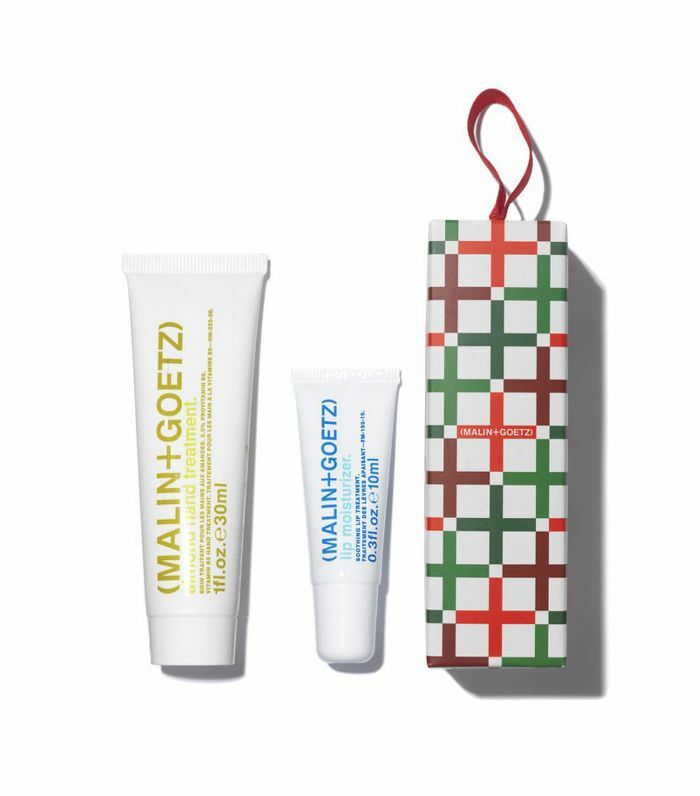 Yep, year after year, beauty brands bring out these dinky ornaments containing a miniature beauty products to treat someone on Christmas day (or to open yourself if you can't bear the temptation). And while we'll be hanging up the regular roll call of questionable plastic artifacts from Christmasses gone by, as well as multiple candy canes and chocolate decorations, we're most looking forward to the moment we get to hang some pretty-looking beauty baubles, whether that's Diptyque's rather decadent fragrance surprise or Becca's best-selling highlighter. We're calling it: We're going to have the most extra tree ever. If you want in on the beauty decoration game, click through to find the beauty baubles that will be adorning in the Byrdie HQ Christmas tree this year. 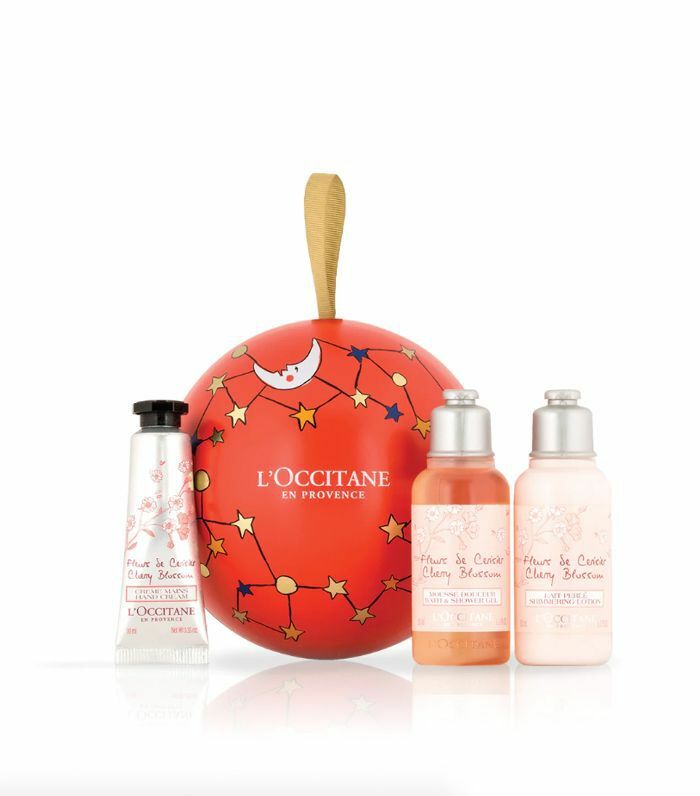 This gorgeously festive red tree decoration is filled with three of L'Occitane's favourite cherry blossom beauty products. 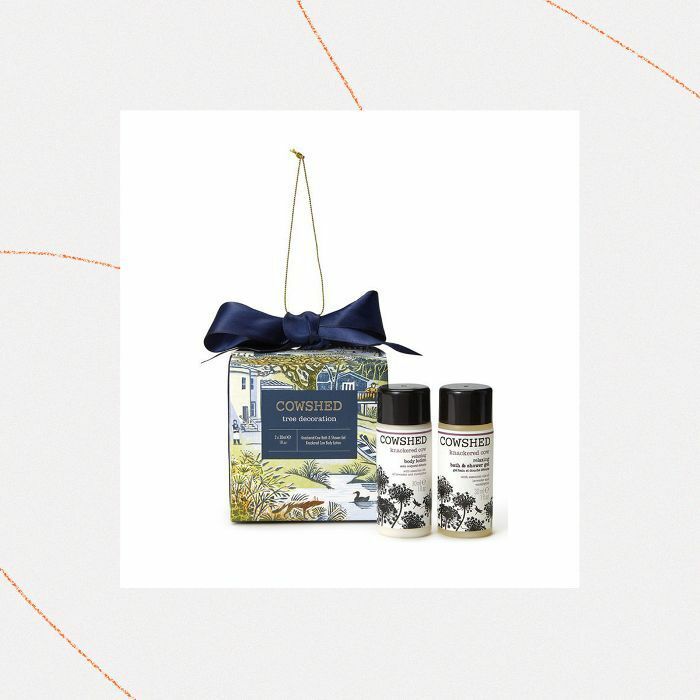 Inside you receive a cherry blossom shower gel, body lotion and hand cream– all which smell absolutely divine. 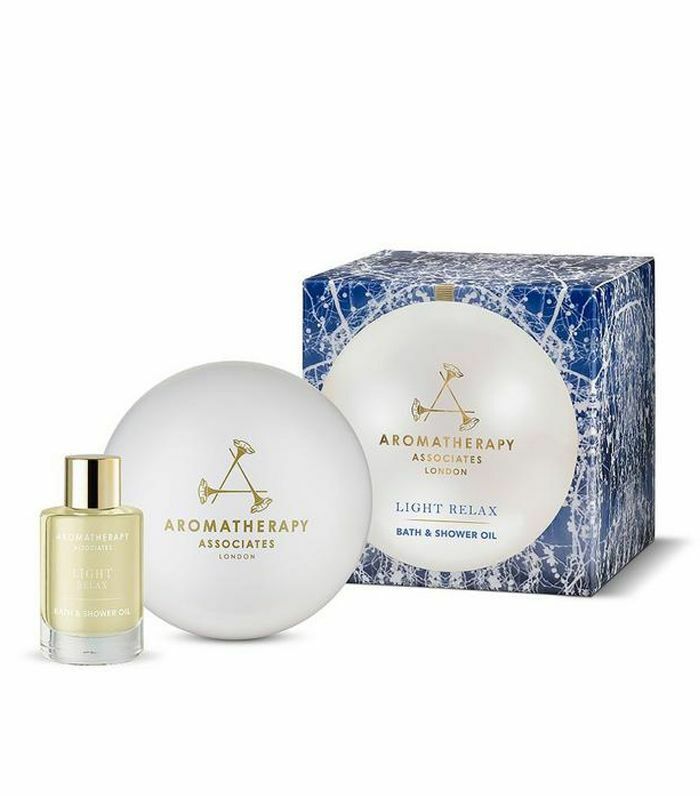 Containing a mini Light Relax Bath & Shower Oil this ultra-relaxing ylang-ylang oil is the perfect de-stress gift. 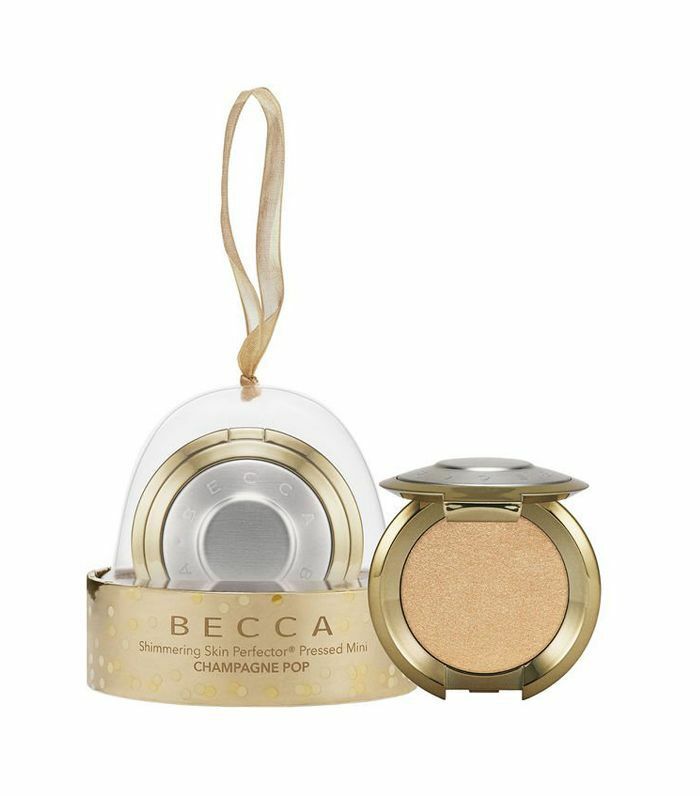 Becca's best-selling highlighter is a sure-fire winner when hung on any tree. 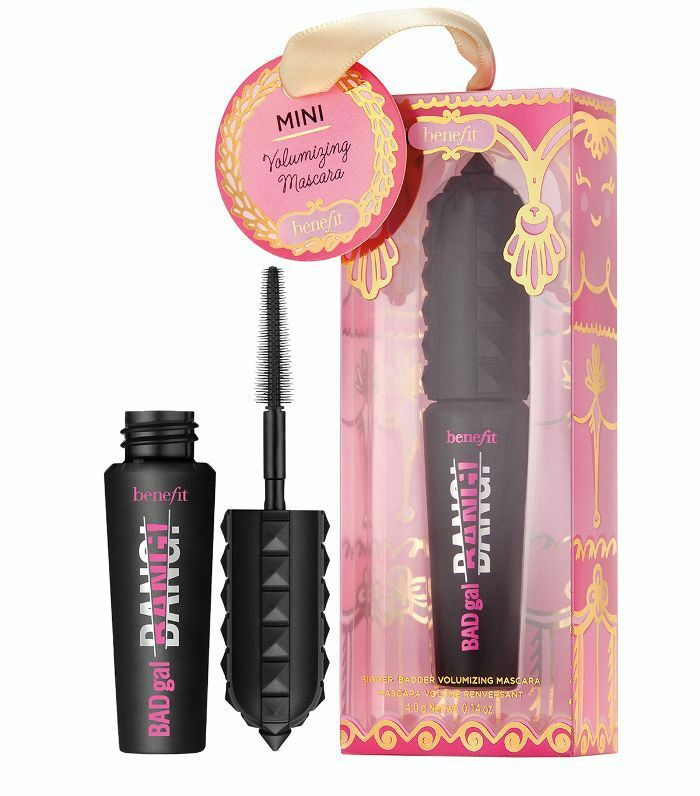 We love Benefit's BADgal BANG!– and what's cuter than a mini mascara!? 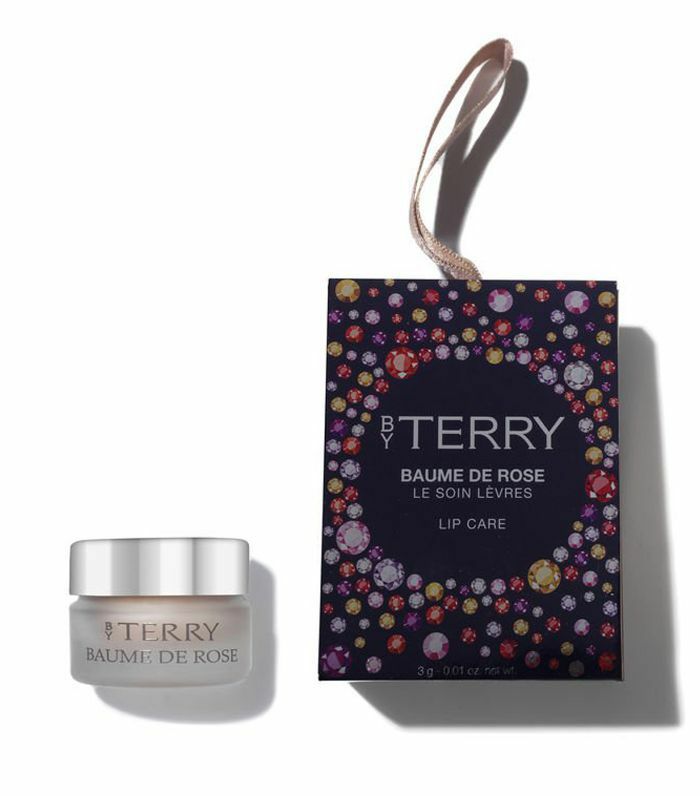 This gorgeous tree decoration contains By Terry's signature baume de rose lip balm– packed with shea butter, rose flower wax and vitamin E.
Caudalie's beauty bauble contains a travel size of their cult beauty elixir face mist. The best news? This size elixir also fits in your hand-luggage. Winner. Of course the Charlotte Tilbury bauble is as ultra glamorous as what's inside: a rosy-pink matte shade (Too Bad I'm Bad) and a warm, deep berry shade (Show Girl). 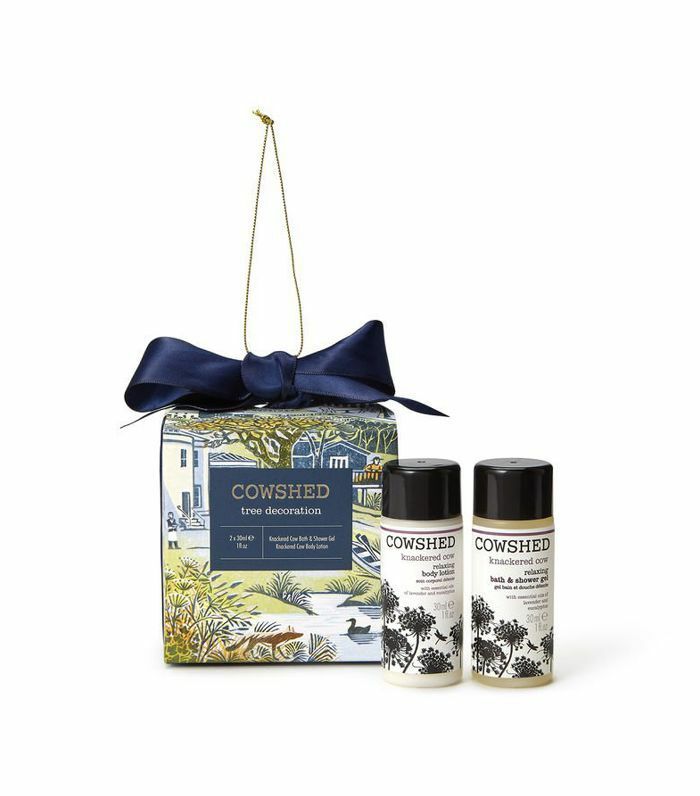 This Cowshed bauble not only looks great hanging on your tree, but contains mini size versions of their Knackered Cow range. 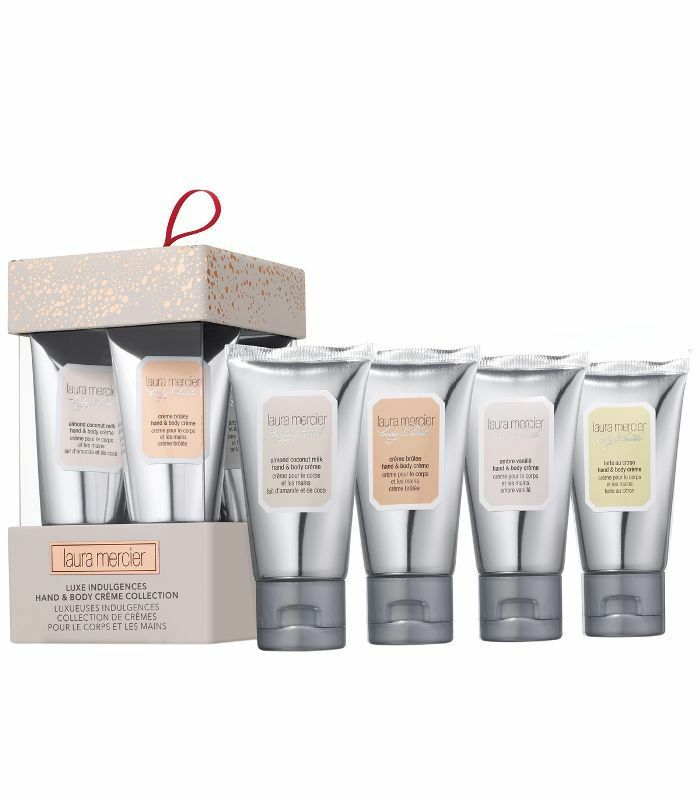 Inside you get the gorgeous bath & shower gel plus the ultra-creamy body lotion. 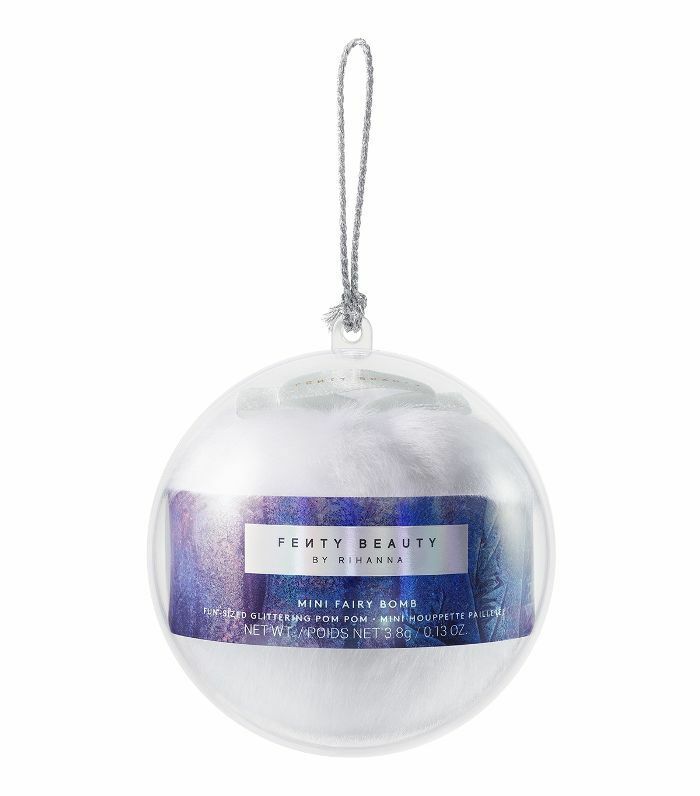 Hang this extravagant bauble towards the bottom of your tree because this one is WEIGHTY. Inside the fir tree-shaped origami box you'll find a travel-size Do Son Shower Oil and Do Son eau de toilette, as well as a Tubéreuse travel candle. NEED. 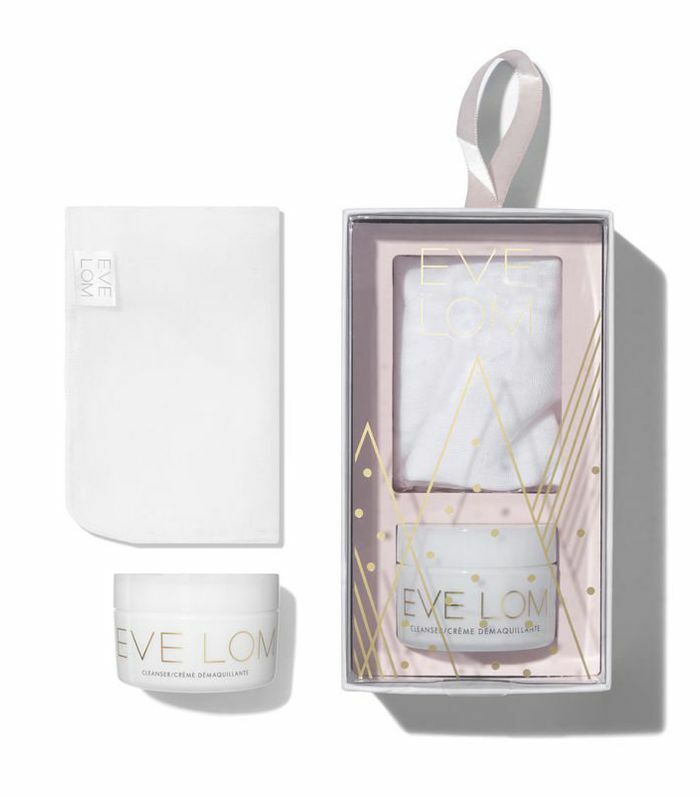 Calling skincare lovers, this miniature Eve Lom cleansing ornament is the perfect travel-size version of their award-winning balmy cleanser– you even get a muslin cloth too. Fenty lovers will rejoice for this iridescent beauty bauble containing not one, but two mattemoiselle lipsticks. 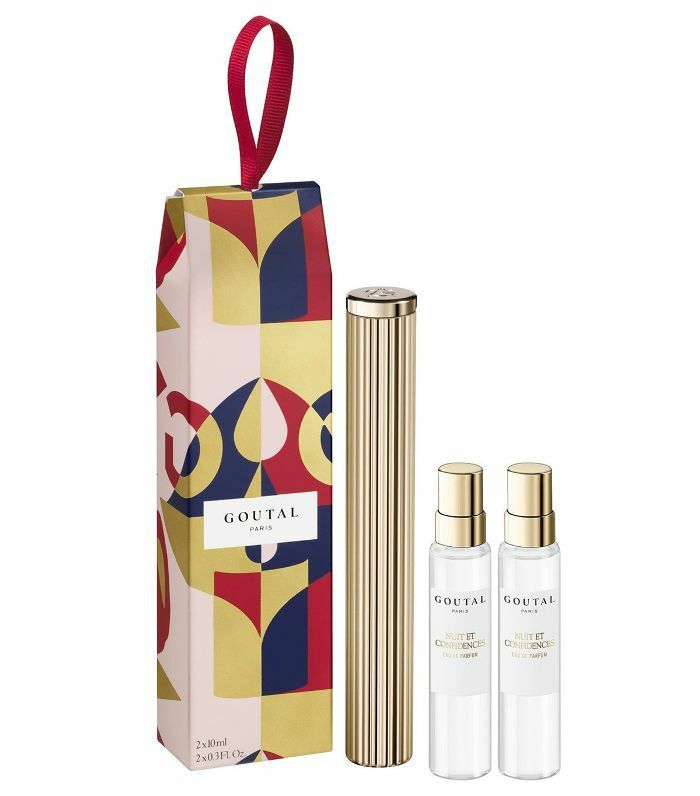 Goutal's discovery set contains two miniature Eau Nuit et Confidence fragrances. The scent itself is inspired by lavish living in Paris, with notes of bergamot, pepper frankincense and tonka bean. Yum. 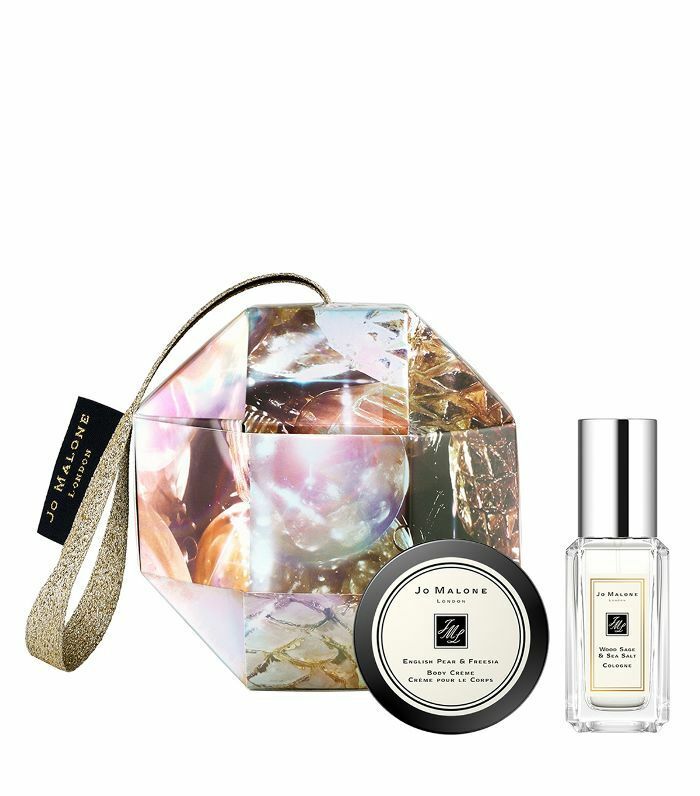 Jo Malone Christmas baubles always win our heart. This year, the scents chosen are the gorgeous Wood Sage & Sea Salt Cologne and English Pear & Freesia Body Crème. We all know someone who's never without a hand cream at all times, don't we? Well this is the perfect gift for them. With four different scents, there's a hand and body crème for every occasion (or every handbag). 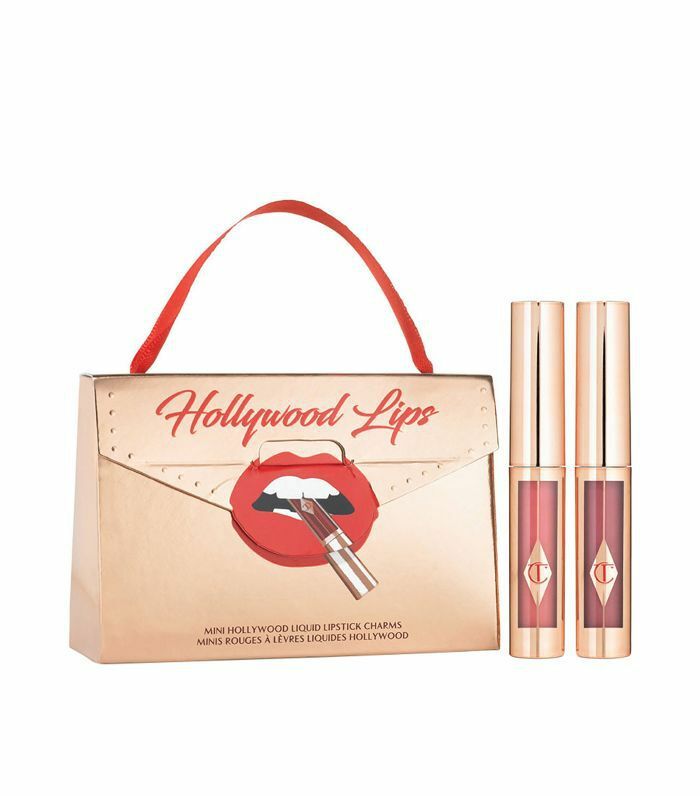 This cute hand & lip duo is a gorgeous gift for anyone who's hard to buy for. Plus the festive packaging is totally inconspicuous. 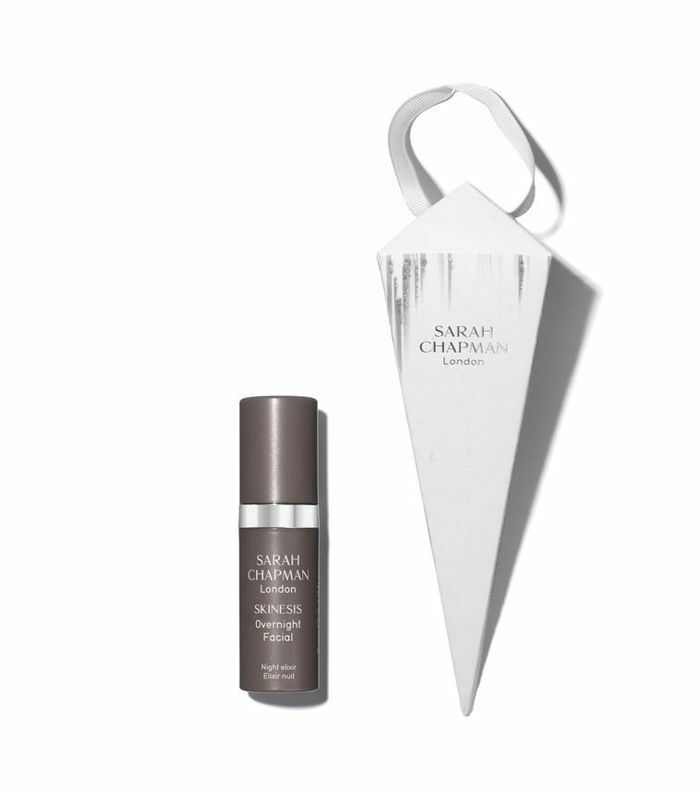 Give the gift of glorious skin with Sarah Chapman's Overnight Glow mini. A trio of This Works' best-selling sleep goodies, you receive two pillow sprays plus an amazing stress-check roller ball. Dreamy. 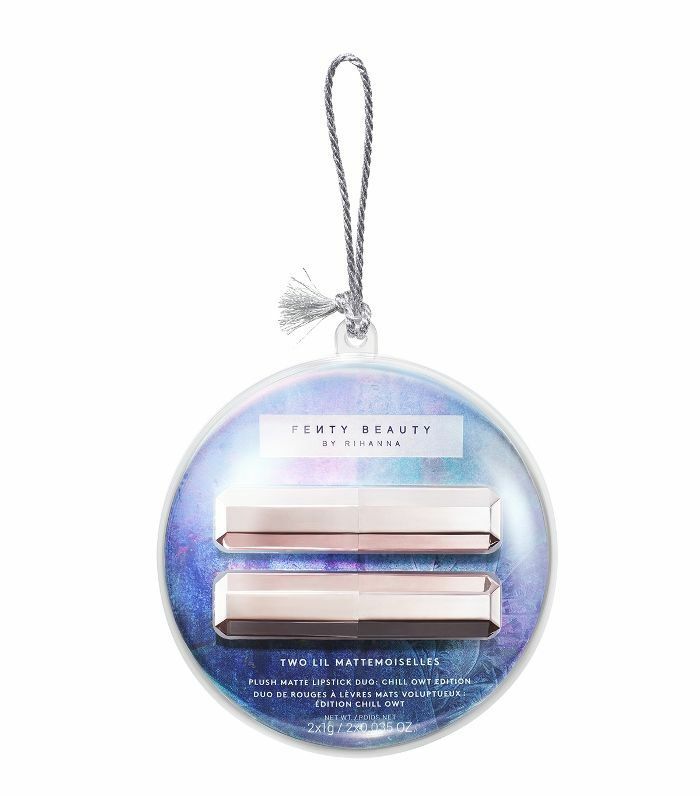 Because any Fenty lover knows that one bauble isn't enough. This one contains a fairy bomb glittering pom-pom to give you a real festive glow.